Here is an example of a rich listing for a client of ours: Pinelands Accommodation. 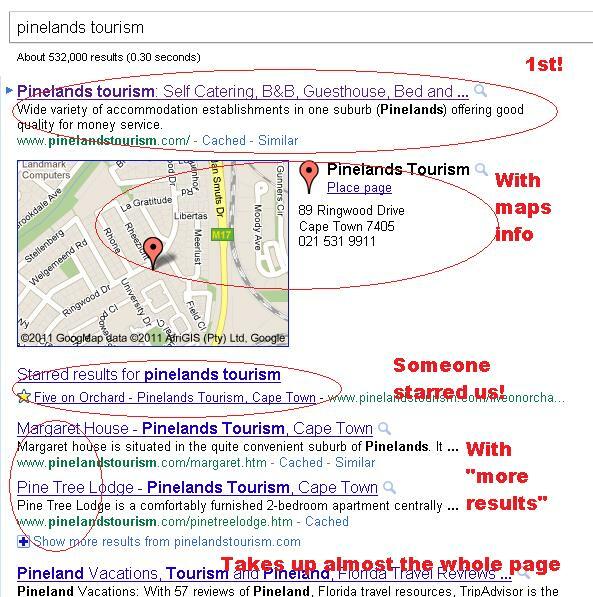 In the image below take note of the following… if someone searches for “pinelands tourism” this is what they would have seen on April 2011. The 1st result is our client and their listing is so “rich” that it takes up the whole first page. This is useful because searches almost never view below the page fold… or to put it another way, they don’t scroll down if they don’t have to.